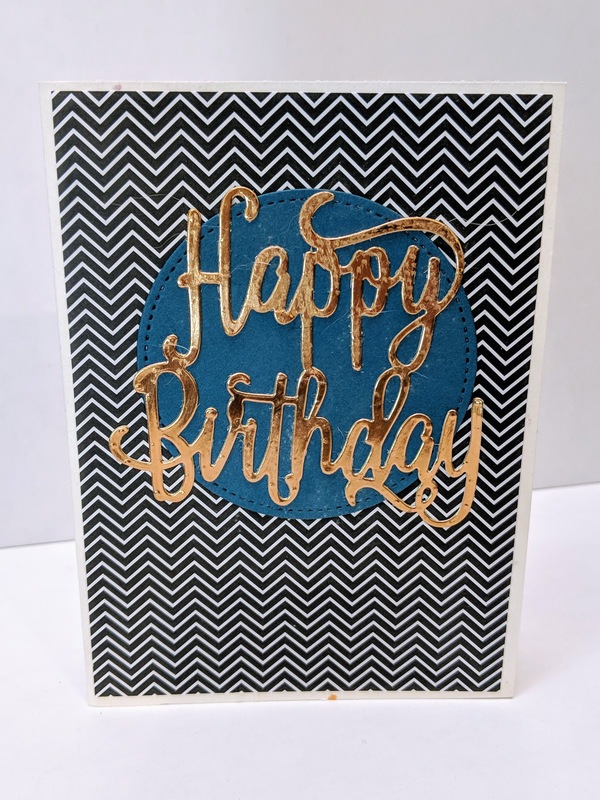 Seriously this is the simplest card to make, and so quick. By changing up colours and patters you can make this suit any birthday occasion. Got to love that. It's also a great way to use up some left over scraps of paper that you're not inspired by or just don't know what to do with. You can also really quickly create a pretty cohesive gift for someone of a pack of 8-10 birthday cards. Who doesn't love a home made gift. You could also change it up by changing out the sentiment - maybe one from the Sunshine Words thinlits, or any stamped sentiment. If you do stamp a sentiment I'd recommend embossing it to just add a little more texture. Of course you can also go to town and add additional layers - but if you have a striking enough background it isn't necessary to create a great impact. 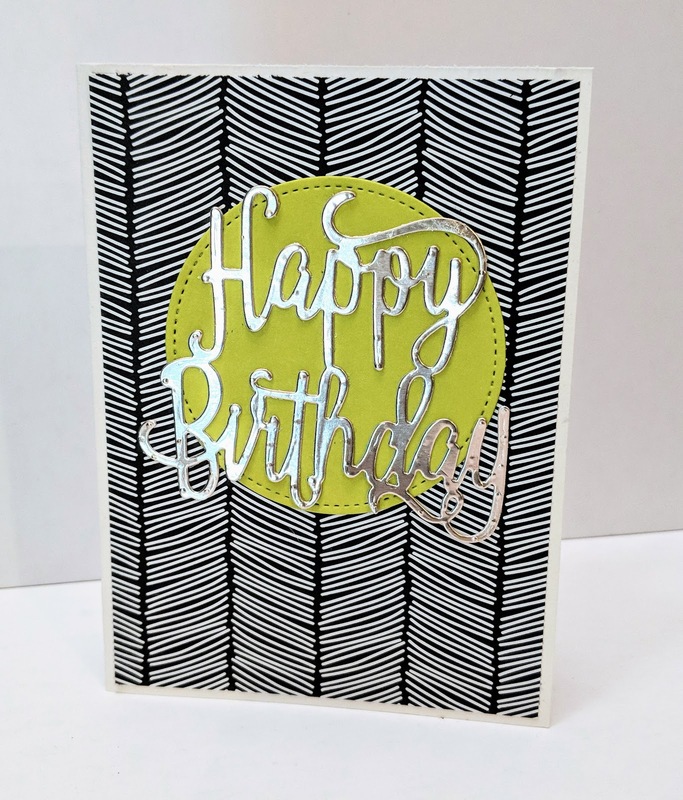 One other hot tip... the sentiment is really skinny in the type face so rather than using glue to adhere it (don't it's messy and you'll have a bad time - trust me! ), grab some multipurpose adhesive sheets. These are definitely your friend for adhering delicate die cut images and sentiments.